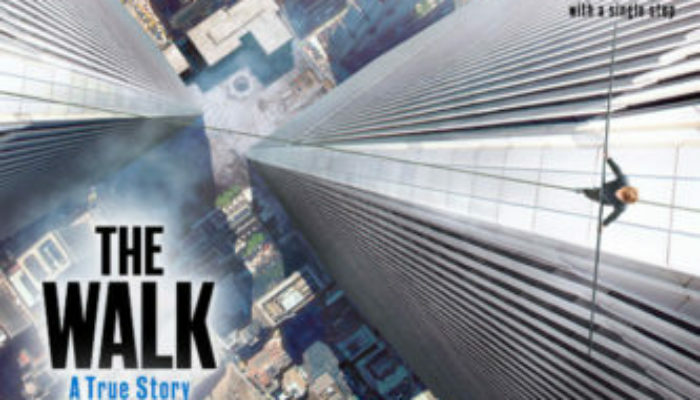 In the 1970’s a Frenchman broke into the World Trade Center to walk a tightrope between the two towers. The true story of daredevil Philippe Petit makes for an inspiring, gripping film with no need for embellishment. In making a film that’s part heist movie, part thriller, part biopic, part comedy, and part romance, director Robert Zemeckis (Back to the Future) performs a balancing act rivaling that of his protagonist and, in the process, delivers his best movie in years. Joseph Gordon-Leavitt portrays Petit with considerable authenticity, perfecting a French accent and learning tightrope walking from the real-life master. The decision to have his character directly address the audience is unnecessary and arguably detracts from the film’s verisimilitude, but the actor possesses the charm to (mostly) pull it off. The supporting cast is solid, especially Gandhi’s Ben Kingsley, while the music and attention to period detail are both first-rate. 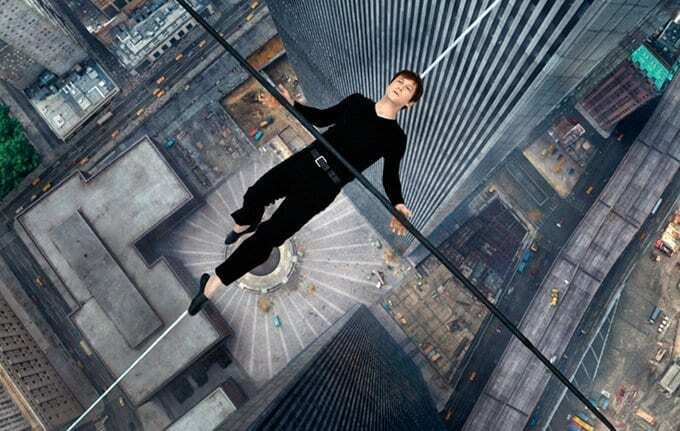 The climatic tightrope walk is a stunning feat of filmmaking, a flawless blend of visual effects and performances. Note: After this, watch the documentary of this story, Man on Wire, on Netflix. 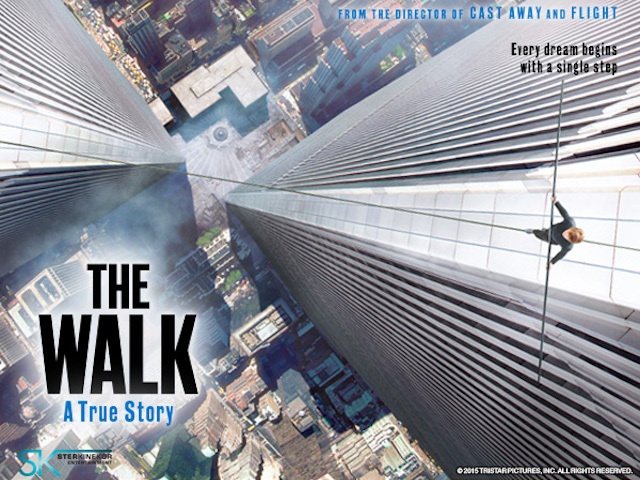 The Walk is rated PG; I wouldn’t recommend it for young children due to the obscured sight of Gordon-Leavitt’s backside at night (it’s not gratuitous and is true to what really happened), characters smoking and drinking, an unmarried couple sharing a bed ( no sexual encounters are displayed), and about a dozen mild-to-moderate profanities. Great accomplishments require team efforts; everyone plays a part, and though some roles get more attention, all are necessary. We must be grateful for the support of those who aide us; no one accomplishes everything in this life on their own. Another fantastic film from director Robert Zemeckis is Contact, starring Jodie Foster and Matthew McConaughey, about our search for the divine and first contact with extraterrestrials.